Written by Marcelo Solis. Posted in Argentine Tango news. These classes are not drop-in. Where: Social Hall, 1375 Civic Dr, Walnut Creek. ATTENTION: Class cards, deals and discounts do not apply to these classes. You must register with Walnut Creek Recreational Services. 8:30 pm: All levels Argentine Tango dance classes on technique & musicality. For students who want to be able to lead and follow comfortably in the embrace, circulate around the floor in the line of dance, do turns, pauses and other necessary maneuvers, and become familiar with Tango music. 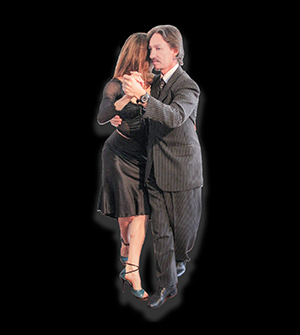 These classes dedicate detailed attention to all Tango elements. Register online. Class 1: Walking and posture. Single and double time walk. History of Tango music. Class 2: Forward and backward ochos. The “Era of Sextets”. Class 3: Parallel, crossed system and sides, walk and sacadas en crossed system, changes of direction, turns and boleos. Orquestas Típicas of the Golden Era. Class 4: Parallel, crossed system and sides, walk and sacadas en crossed system, changes of direction, boleos, turns and other circular movements. Vals and milonga. Milonga starts at 10 pm. Dance and enjoy our family style potluck dishes and beverages. 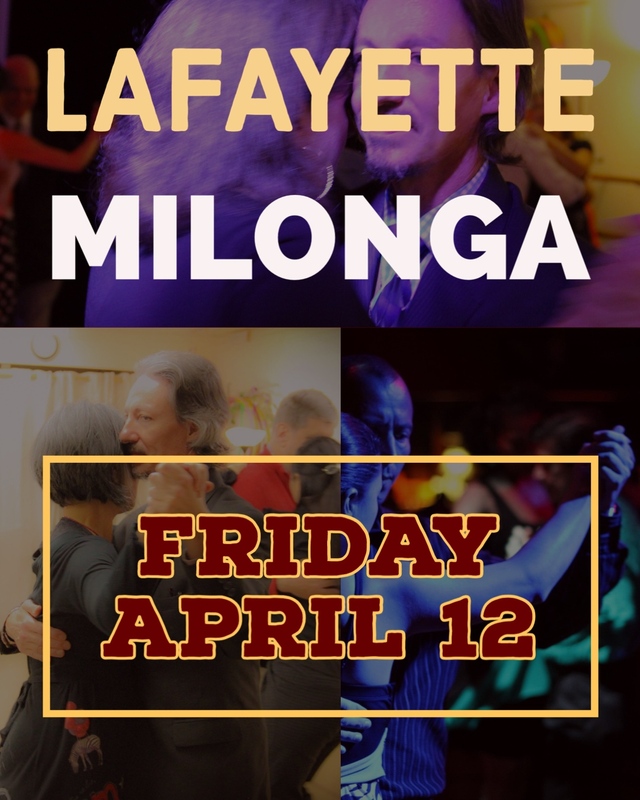 Lafayette classes and milonga are the most similar to a Buenos Aires neighborhood class and milonga. The friendly and committed to learn crowd of regulars makes the experience of this class and milonga to feel very welcoming and rewarding. San Jose: Next series starting on May 20, 2019 and every consecutive Monday at 7 pm beginners and 8 pm intermediates (no class on May 27 Memorial Day). San Francisco: Next series starting on May 22, 2019 and every consecutive Wednesday at 7 pm beginners and 8 pm intermediates. Lafayette: Next series starting on May 24, 2019 and every consecutive Friday at 8 pm beginners and 9 pm intermediates. Correct posture, walk and the concept of lead and follow. Connection with the partner and the floor. Basics of social etiquette and navigation in the context of Argentine Tango. • San Francisco: Next series starting on July 17, 2019 and every consecutive Wednesday at 7 pm beginners and 8 pm intermediates. • Lafayette: Next series starting on July 19, 2019 and every consecutive Friday at 8 pm beginners and 9 pm intermediates. • San Jose: Next series starting on July 22, 2019 and every consecutive Monday at 7 pm beginners and 8 pm intermediates (no class on September 2 Labor Day). Welcome to Escuela de Tango de Buenos Aires. My name is Marcelo Solis. I was born and raised in Argentina, the same country where Tango was born. 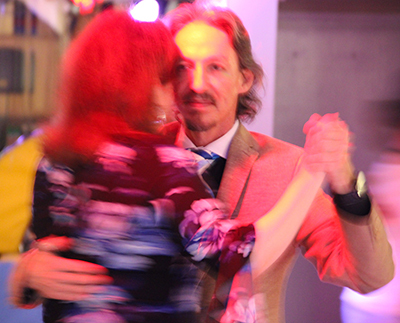 I grew up intimately involved in Argentine Tango and since 1994 it has been my profession in addition to my passion. Our 8-week training program for beginners is organized in a way that will allow all of you to get to know what Tango is, and eventually make the decision to continue learning this art that is going to change your life and make it a work of art. 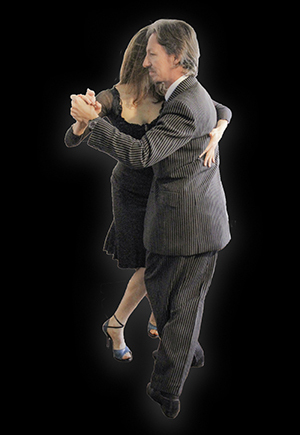 Posture and walk, the first 2 items in our list, are the aspects of Tango that can be learned. Posture and walk, the first 2 items in our list, are the aspects of Tango that can be learned, provided the expertise of a knowledgeable and experience teacher. These elements are also named “technique”. It is through exercises and repetition that we intend for correct technique to become second nature, which will allow you to contemplate the next items on our list. Awareness of your own body, of your partner, and of the other couples. Awareness of your own body and its movements, awareness of your partner, in intimate proximity to you, becoming a mirror in which you can discover yourself, and awareness of the other couples dancing on the same dance floor as you, since Tango is a social dance that requires a measure of responsibility regarding those who share the same passion. Musicality is where your emotions will come into play, and this is what you bring with you to Tango. Musicality is where your emotions will come into play, and this is what you bring with you to Tango. Music, in general, and Argentine Tango music, in particular, is a language that makes emotions talk. I will share my knowledge and passion for this music with you. I regularly post the most relevant songs on my website, and I offer well crafted and professionally selected tango music that you can purchase here or online. Argentine Tango makes of the human embrace a work of art. The last item on the list, embrace, is perhaps the first characteristic of Argentine Tango, the last development that appears in the social partners’ dances, the characteristic that allows us to pin down what Argentine Tango is: the embrace. Argentine Tango makes the human embrace into a work of art. I want to clarify that this 8-week introductory series for beginners is no more than that, an introduction. If you decide to continue with learning more about Tango, your next step will be the intermediate series, which runs parallel to this series on the following hour. Also, I must tell you that, if you want to get a real and profound understanding of this form of art, private lessons become necessary. And also to travel to Buenos Aires and see Tango in its own environment. I regularly organize trips with my students. My desire to get better was shaped through decades of patient learning, careful observation of dancers who inspired and guided me, and passionate dancing in milongas, to challenge others to dance better and to be challenged to better myself.